In our previous two blogs we’ve covered what periodontal disease is, how to recognize it, and how it can affect the rest of your body. All of us here at 12 Oaks Dental in Austin not only want you to be aware of the basics of periodontal disease and the dangers that it can cause to your overall health, we also think it’s important that you’re aware of how you can prevent gum disease in the first place. Brushing your teeth at least twice a day, and, ideally, after every meal, is the easiest way to prevent gum disease. By using a soft toothbrush and fluoride toothpaste, brush your teeth for 2-3 minutes. Make sure to clean all sides of your teeth as well as your tongue to remove as much plaque as possible. If your gums hurt when you brush, it may be a sign of a more serious problem and it’s important to see your dentist in Austin as soon as possible. If you’re concerned about the health of your gums, or if you’re due for a checkup and cleaning, call our Austin dental office to schedule your appointment today. We will perform a thorough cleaning and examine your gums for any problem areas. If we do find active gum disease, don’t worry! Although gum disease is scary, it is often easily treated. And if caught early, treatment is even easier. Don’t wait for gum disease to cause bigger problems. Schedule your appointment today! Having a “Flossing Chart” in the bathroom is a great reminder for kids to floss at least once a day. Let your kids use their favorite stickers to count how many days in a row they floss. Set a goal and use fun incentives such as staying up a little later on weekends, watch a special movie or extra story time. You can find printable charts here. or even make one with your child. SEND THEM BACK WITH HEALTHY LUNCHES ! We all love summer time with our kids, but now mom’s are celebrating by buying school supplies and clothes! In our haste we might forget to plan for our children’s oral hygiene while they are at school. Here are some hints for helping our kids keep their teeth clean and healthy whether they are in elementary school, middle or high school and even our very independent college kids. Send a flosser inside your child’s lunch box. Pack bottled water in their lunch instead of juice or soda to help keep sugar levels low and cavities at bay. Put fruit in your child’s lunch to help “brush” away plaque from their teeth. Children with healthy lunches tend to perform better in school. They will have the nutrition and endurance to keep them going! Here are some ideas for lunches! What Are Your Gums Saying About Your Health, Austin? In one of our latest blogs, we discussed what periodontal (gum) disease is, some of the signs and symptoms that may indicate the disease, and how important it is to come see us at our Austin dental office as soon as possible if you’re experiencing any of those symptoms. Today we’re going to tell you why a quick diagnosis and early treatment of periodontal disease is so important. 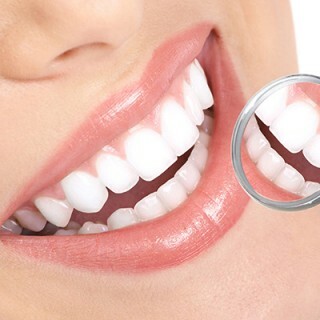 While we know that gum disease can lead to serious medical problems and diseases, at 12 Oaks Dental in Austin, we also know that early diagnosis and proactive treatment can keep gum disease from causing any of these major health concerns. That’s why keeping up with your regularly scheduled visits is so important. If you’re due for an exam, call our Austin dental office today at 512-346-5196 to schedule your appointment. We look forward to seeing you! Did you know that the tiny black seeds you sprinkle on the top of Chia Pets are actually edible? Chia seeds have proven health benefits. Studies have shown noticed improvement in blood pressure, inflammation and blood sugar regulation after about 12 weeks of taking a ¼ cup of chia seeds per day. The desert plant chia, or Salvia hispancia, is botanically related to mint. Its seeds are highly absorbent, retaining up to 27 times their weight in water. Soaked, this gelatinous concoction slowly releases its liquid, hydrating those who consume it. Chia seeds top the charts in iron compared to flax, hemp, sunflower, pumpkin and sesame seeds. A ¼ cup contains around 8 mg of iron and 10 grams of fiber. They also come in high on calcium content. Try chia seeds on salads, add them to protein shakes or mix them with yogurt for added health nutrients. You can even substitute chia seed for eggs when baking! So next time your looking at your terra-cotta figurine in the windowsill, don’t be tempted to eat it – those seeds have not been approved by the FDA.